Dimo & Groove, Keith John, Infected Mushroom, Jonathan Davis, Pascal Mollin & Pan Pot, Nicone & Narra and more. The Open Air Season is nearly done for this year again, and so i started preparing myself for the upcoming club season. 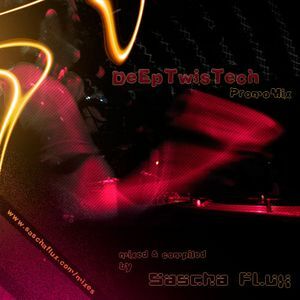 First Promomix for this purpose is "Deep TwisTech", which comes up with a slightly different club dancefloor vibe of mine. A bit less banging maybe, but filled with deep and twisted underground sounds for experienced clubbers! You can call it deep TechHouse or Techno, but most of the tracks also have this special kind of Progressive feeling inside.